Are you planning to buy a pet? You must be aware of some facts, which can help you save on pet care, before you buy a pet. You can save on pet care, if you opt for a mixed breed pet that has been nurtured by a reliable breeder or shelter. Hybrid or mixed breed pets are tougher than the purebreds. Purebred’s animals often suffer from inherited diseases. Avoid buying any pet from a pet store, as they may have acquired diseases in pet mills. Adopt pets that are at least one year old, as they are most likely to be neutered or spayed. They also have training. 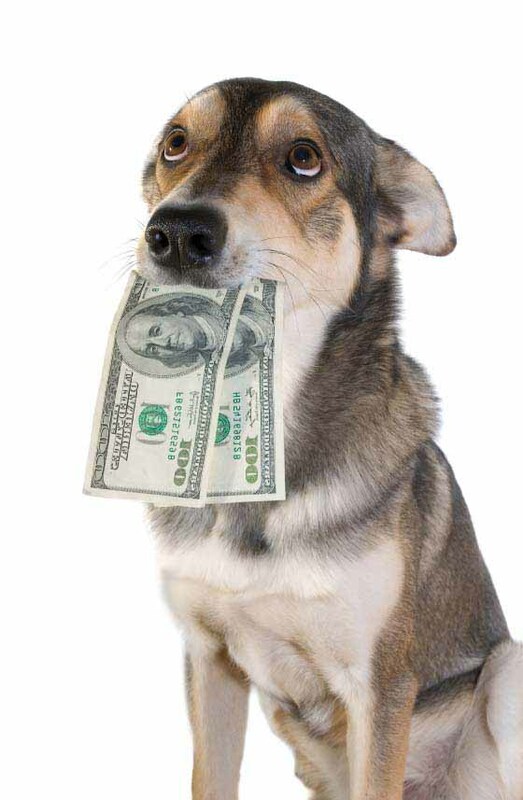 Keep up with regular preventive care for your pet; by spending a little you can save a lot. Don’t skip immunizations, annual pet checkups, heartworm medicines, flea treatment, tick treatment, and neutering or spaying. Brush your pet’s teeth with a pet toothbrush regularly. It will help you hold back many serious illnesses. Instead of visiting a vet, call him for minor queries. Also, ask him about any reasonable package that he can offer for your pet. You can also have a look at the teaching hospitals or shelters. However, never compromise with the quality. If you love your pet and care for its well-being; quit smoking. Smoking has severe health impacts on pets. The particles emitted from smoking get settled on the pet’s fur and cause serious health conditions like lymphoma, asthma, bronchitis, and lung cancer. 1. 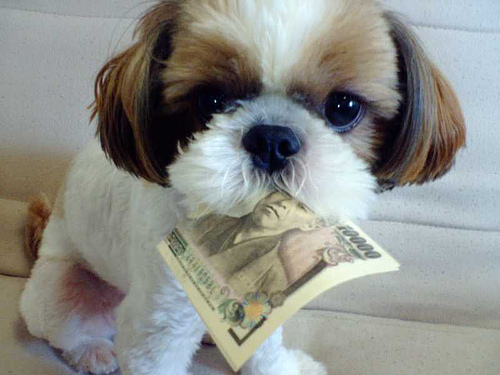 Before buying a pet, research how much it will cost to care for the pet. take into account the cost of food, medical expenses, toys, accessories, training and time. 2. Smaller pets such as mice and hamsters are much less expensive to keep than larger pets like dogs. The also require less attention. 3. Consider purchasing needed pet toys and equipment at garage sales or flea markets to get them a t a fraction of the price of new items. 4. Consider adopting a pet from the local animal shelter rather than purchasing from a pet store or breeder. They will be much less expensive and you are saving an animal's life in the process. 5. Apply for pet freebies. These are some of the most abundant on the Internet as companies try to win your business. 7. Avoid buying pet food from your vet. It will be the most expensive purchasing it there. If your vet recommends a certain pet food brand, make note of it and try to find it someplace else. 8. Compare prices on pet food. Most brand names come with basically the same ingredients, but their prices can vary greatly. Comparison shopping can save you a significant amount of money. 9. Purchasing food in bulk when possible at warehouse and discount pet stores can save you money. Be sure to compare these prices against sales at local stores that can sometimes be even better. 10. Use coupons and search the Internet for special discounts and promotions on food and other items you need on a regular basis. 11. Consider making your own pet food. There are a number of books that have recipes you can find at your local library, or you can go online into many pet specific sites and discussion groups to learn how to do this. 12. Always feed your pet the correct amount of food Overfeeding pets is common which not only costs extra in terms of money for food, but also in health and vet costs. 13. Get the proper treatments, shots and vaccinations for your pet when they are recommended. Failing to do so will likely cost you hundreds of dollars in later medical expenses. 14. When pet ailments occur, take care of them right away to help prevent costlier treatment in the long run. 15. Get your common vaccinations at pet stores or animal welfare agencies instead of at your vet. They will usually be subsidized and cost much less at these venues. 16. Take the time to become familiar with common ailments for the type of pet you have and remedies for them. The Internet has a large amount of information, as well as your local library and online discussion groups. 17. Vet prices can vary quite dramatically. Take the time to call and compare local vet prices. Choosing your vet solely on the lowest prices, however, should be avoided. You want a vet that you can trust with your pet's life if an emergency situation does come about. The best way to find a trustworthy vet at a reasonable price is to ask your friends and neighbors who have pets. 18. If your pet is a former stray, let you vet know. Some give discounts when treating former stray animals. 19. Learn to groom your pet yourself. Your local library or the Internet will have information on how to properly groom your pet. Although certain pets need special grooming care, most pets you can groom yourself and save the expense of paying a professional. 20. If you have pets that you wash in your tub, invest a dollar or two in a simple rubber strainer. This will help keep your pipes from getting clogged and save you the expenses associated with unclogging them. It will also extend the life of your pipes. 21. Consider purchasing and installing pet doors. This will reduce the cost of heating your house in winter and cooling it in summer as you won't have to open and close the door for your pet each time he must go out.